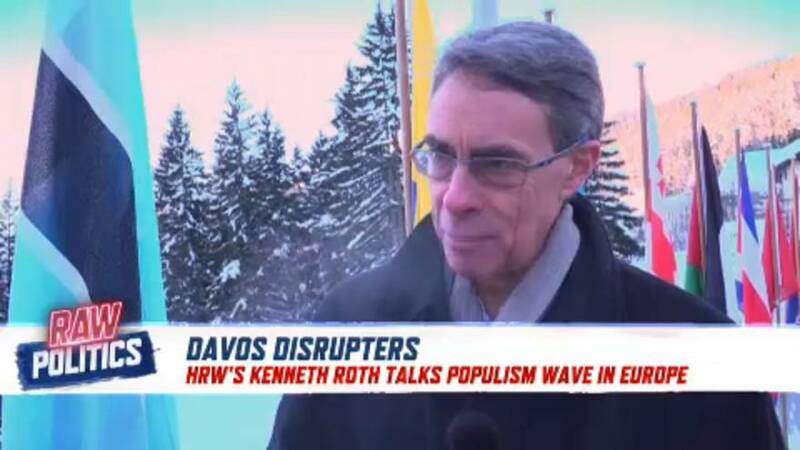 Kenneth Roth, director of Human Rights Watch, said that Davos is the most effective place to be in order to give voice to an issue in front of the most important political and business leaders in the world. This year is Roth's 19th year at the World Economic Forum. The main focus of his message in 2019 is to continue to push back against populism in Europe. He praised the efforts of the global community in uniting against populist leaders. "The real news of the last year has been the resistance that these autocrats have spawned," Roth said. "Even in the toughest situations, we've seen the international community come together."